January was quite the month for us over here at KRose Company! We have been so excited about the launch of our new podcast, Success Defined with KRose, where we talk with business owners about how they reached their own version of success. Guests Nevada Watt, Cody Creelman, Andy Austin, and Crystal Blin were the first to dive deep with us on their personal journeys to find happiness in their field of work. You can find the already released episodes on iTunes, Spotify, Blubrry, tunein, Stitcher, and Overcast. If you’ve listened and you’re a fan, make sure to leave us a review on iTunes! It really helps us out and we love hearing what you gained from each episode. Make sure to download the Defining Your Success worksheet to discover your definition of success based on your own unique strengths and qualities. Coffee with Karoline in Bozeman had a great turn out and we already have next month’s planned for February 27 at Cold Smoke Coffee House. If you’re local to the area, you won’t want to miss this chance to pick the brain of a small business marketing specialist and entrepreneur for free. If you’re not local to Bozeman, you’re still in luck! You can catch some virtual “Coffee with Karoline” over on our YouTube Channel. You can find January’s episode here, where we discussed some New Year strategies, and stay tuned for February’s episode! We also had a vlog on what you should do when you feel stuck and your strategies don’t seem to be working. In January we had a great training on online affiliate marketing where attendees learned about how they can make an extra $1000 a month with products you love. The KRose Marketing Small Business Accelerator has been booming with valuable Acceleration Sessions and so much more. We went behind the scenes of using a business Facebook page, looked at the new Facebook algorithm and how to use it to sell, and we had our guest expert, Terryn Drieling, talk to members about her business Faith, Family, and Beef, and how she creates & curates content & engages followers. The cheat sheets, replays, and tech library are expanding every day and we are so happy to share our knowledge with the amazing members in our Acceleration Nation. We designed some fantastic websites for our fantastic clients, including Brushy Creek Cattle Company and Light Hill Meats. Here on the blog we talked about How to Get Social on Social Media and covered the importance of Loving Who You See in the Mirror. It’s been an incredible month, but this is just the start. February will bring even more value and we’ll announce some exciting changes very soon! We appreciate you for following the KRose journey! 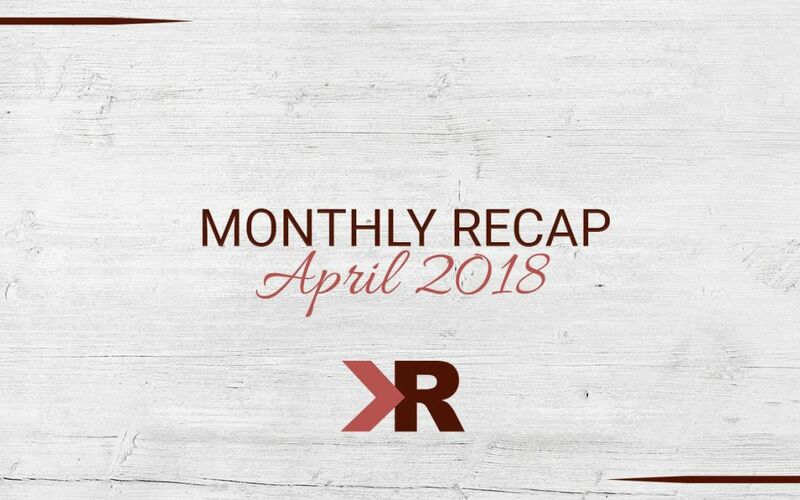 April was the month of the website here at KRose Marketing & Consulting. We first blogged about Picking your Programs and recommended utilizing WordPress, GoDaddy, and SquareSpace. Next we discussed Six Crucial Web Pages Every Site Needs, which includes your Home, About, Services/Products, Success Stories/Testimonials, Blog, and Contact pages. If you missed our Website Cheatsheet, a checklist for all the crucial website components every successful business has, download it now. First impressions are important, which is why your homepage should have Short & Sweet Copy, rather than a bunch of text and information. Yes, you want your website to be the homebase for all things to do with your business. But you shouldn’t be able to find all that info straight off the home page. Make your homepage very simple and easy to navigate. Throughout the website disperse the information in a way that is easy to find, but doesn’t look bulky. Next we tackled the concept of writer’s block, which every writer can understand. There isn’t a magic solution to curing writer’s block, but we’ve come up with some steps in which you can overcome the obstacle. This includes letting the juices flow, scheduling a time and place to work, and reviewing previous successes. Read more about Beating Writer’s Block and Churning out Creative Content. After sharing those tips, we delved into How to Create Captivating Copy. We recommend breaking up the information, getting to the point & providing a solution, and being conversational. Although there are many tips you can follow to build your own website, we also brought up the possibility of Hiring a Web Designer with Sales Experience. If you have the option to hire out, this is one of the best places to do so. A web designer with experience in advertising and sales understands how to build a website that leads customers to purchasing. A beautiful website might be nice to look at, but if it doesn’t lead your viewers to buying, at the end of the day it’s virtually worthless. Finally, we talked about how to Solve your Audiences Annoyances, a task each business owner should constantly be considering. You must identify the annoyance, analyze it and find the standards surrounding it. Next you’ll develop numerous standards, choose the best solution, and implement it. Business owners who have mastered this skill are always successful. 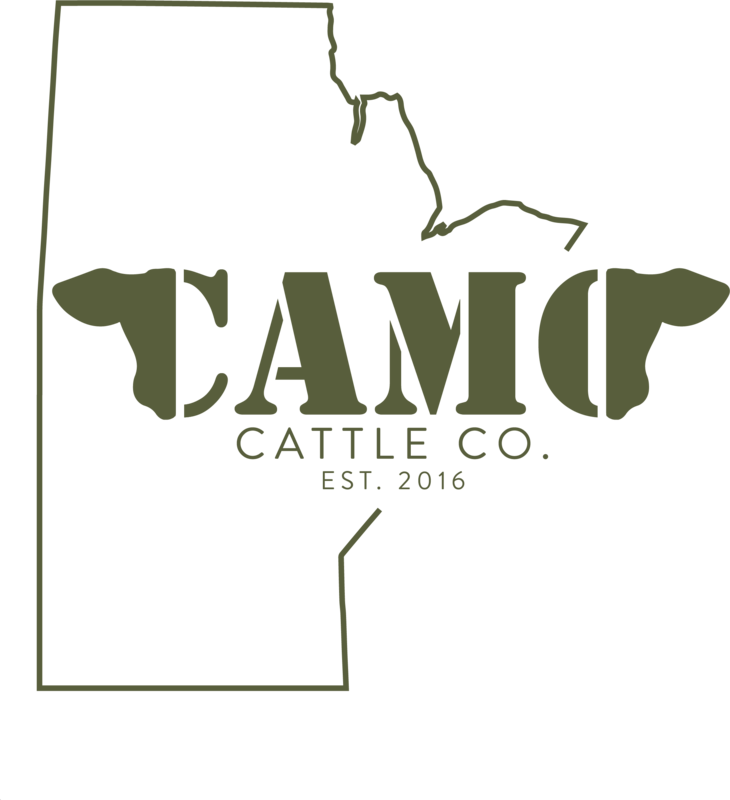 We had the opportunity to create a really fun logo for Camo Cattle Company based out of the Manitoba Province of Canada. Logos are some of our favorite projects as we can take someone else’s passion (like camouflage), combined with our own creativity, to develop something both ourselves and the client love. Putting our advice to work, we were able to build a website for Lick Creek Meats. We had a blast working with the incredible Jennifer Sansom who runs the business with her two children, almost exclusively, hiring little outside help. She started noticing other mothers who wanted to know exactly where their meat came from and decided to create her company to solve that problem (AKA annoyance). 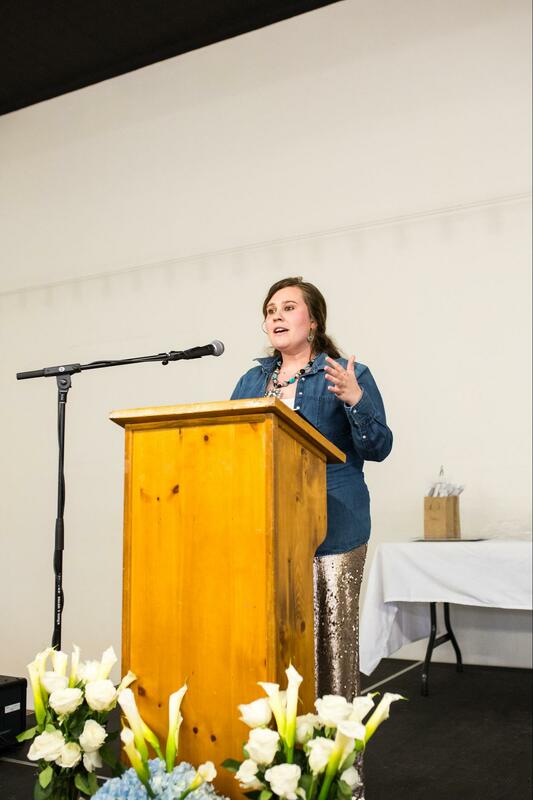 Our fearless girl boss Karoline Rose was aptly awarded the Young Careerist Award at the Bozeman Business & Professional Women’s Honors Event. We knew she had it in the bag, but Karoline was surprised and honored to be recognized. We are excited for all we have in store for you this May. Not only are there some really cool announcements on the horizon, but we are about to get pretty personal on the blog. Keep your eyes peeled for news about the KRose Acceleration Nation. Soon you will understand why the business was started in the first place, how to run a small business in rural America, why we hate Facebook, and more. Like KRose Marketing on Facebook and jump on board to share insights and build support with other like-minded entrepreneurs.